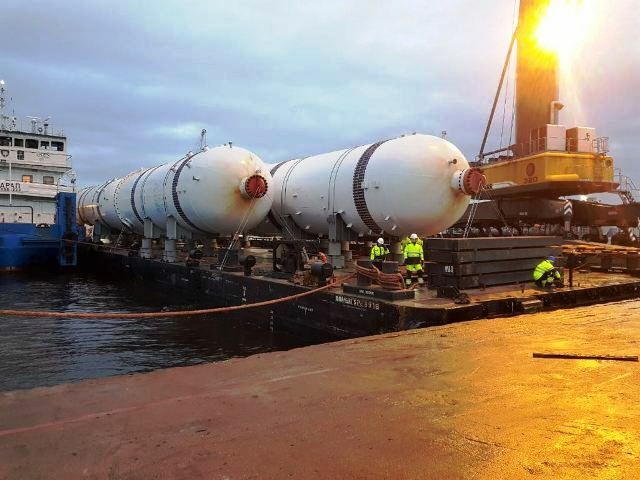 Project: In November-December of 2017 Oceanic Maritime Agency became a participant of the unique project of ten adsorption pipes transportation from the port of Temruk to the port of Ust-Luga. The pipes were intended for the petroleum gas liquefaction plant. 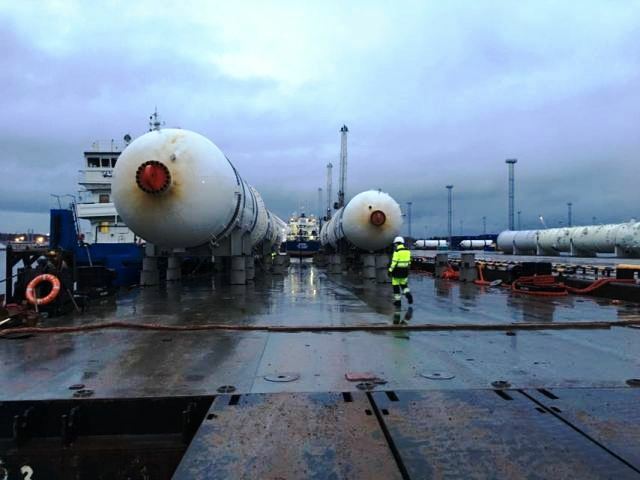 Oceanic acted as «Sovfracht's» agents in the ports of Saint-Petersburg and Ust-Luga and as agent and forwarder in the port of Ust-Luga. 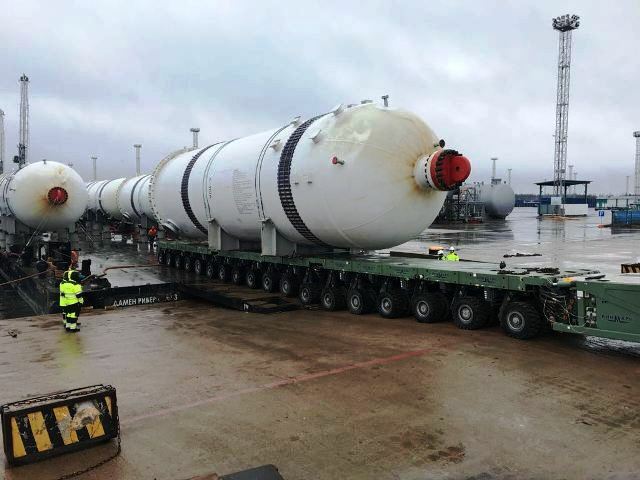 The kernel of the project was the method of transportation by RO-RO barge with following rolling out by heavy self-moving transporters of «Kinmark» company. 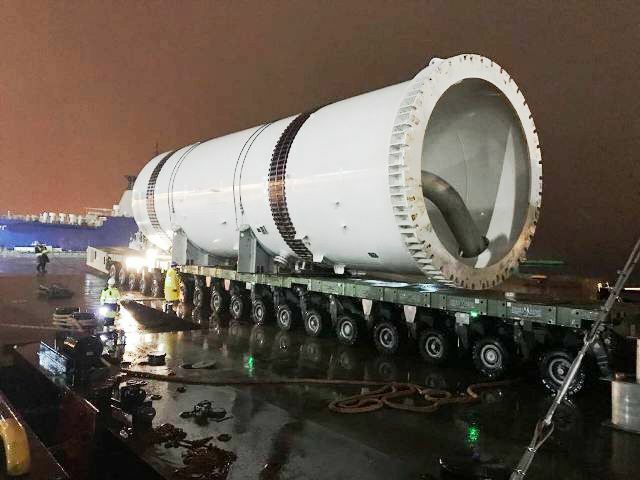 The weight of one adsorption pipe is 218 tons. 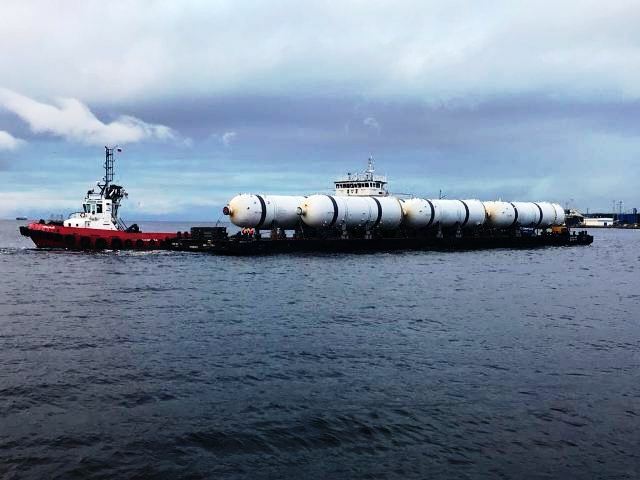 Two barges were used for this project: the first one with the cargo, the second one as intermediate platform for the rollout. 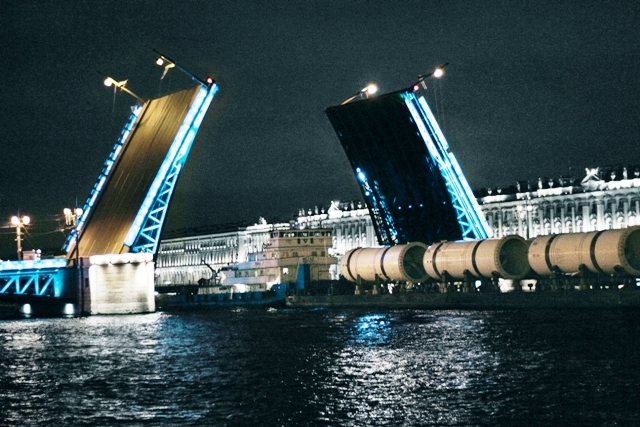 Task: In terms of near end of the navigation season and significant weather restrictions, we had to respond the situation promptly and arrange the departure of tandems from Saint-Petersburg and their arrival in port of Ust-Luga as soon as possible. The forwarders task was to organize the cooperative work of port services, cut/grind stoppers, import and install of lodgments, arrangement of port passes the third party equipment involved in the project, to ensure of the cargo departure to destination.